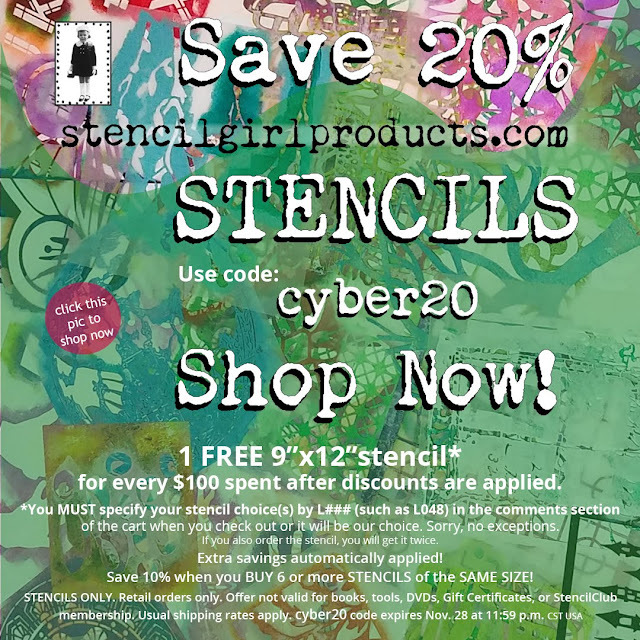 StencilGirl Talk: Add stencils to your art tool stash at 20% savings now! Add stencils to your art tool stash at 20% savings now! Spectacular Savings extended for YOU Tuesday and Wednesday! Our 10% discount ~ buy 6 stencils of the same size ~ automatically applied! 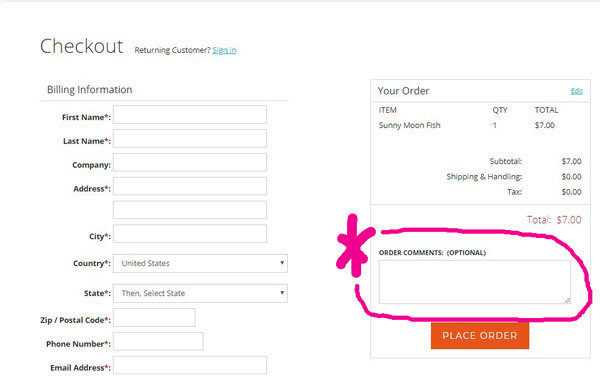 Please, You MUST specify your choice(s) by L### (such as L048) in the comments section of the cart when you check out or it will be StencilGirl's choice. please do not list it as your freebie or you'll get it twice. 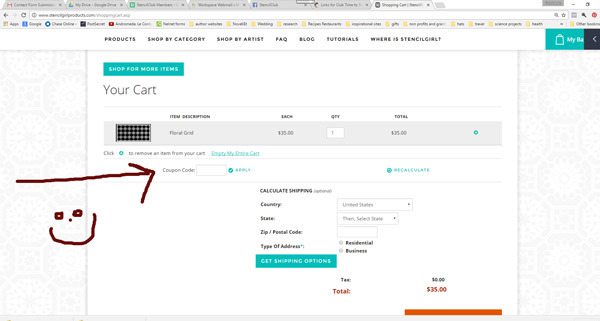 Thanks so much for loving StencilGirl® stencils!